Andy Gianino doesn’t have a lot in common with many home builders. 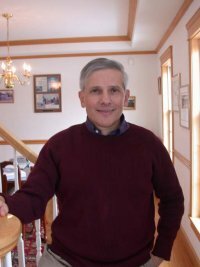 For one, he is professionally trained in psychology, having obtained a Ph.D. in child psychotherapy and clinical psychology. Another is he says it’s possible for his company, The Home Store, to sell 100 modular homes this year across New England. Gianino and his wife decided to invest in real estate during the boom years of the 1980’s and that’s how he got into home building. It took a couple of years, but building with modular homes has turned out to be a growth industry for Gianino. In the following interview Gianino talks about how he engineered this growth. BSB: Why did you choose home building as the investment for your money? Certainly, there were other options available to you. Gianino: At the time, I wanted to take advantage of the New England building boom. But after I decided to build a house to sell, I couldn’t find a builder. Then I discovered modular homes. I never anticipated how much I would enjoy owning my own busness before I started doing it. I like working with people and seeing the results of my activities. The building trade gave me that opportunity. Now I see it as a challenge to run my business better than the competition. It’s been a lot of fun. BSB: What’s the most important thing about managing a modular home building business? Gianino: You make sure you educate your Customers about the entire building process. You need to explain to them why modular homes are the way to go. You need to tell them why your company is better than the competition. If you have a philosophy, as we do, that your Customers have a right to know every aspect about the building process, then you have an obligation to educate them. It takes a lot of information. One of the things that I think really distinguishes our company from others is that we’re very good at giving complete and accurate pricing information. We don’t ever want to leave anything out. If anything, we want to overstate what needs to be done so our Customers are not surprised. Customers hate surprises, particularly ones they didn’t budget for. We also have forms that explain the general contractor’s responsibilities and those of the carpenter, plumber and electrician. These are very useful to those Customers who want to get the work done on their own. We also provide our Customers with a detailed list of what they will be receiving in their home. We give all of this detailed paperwork so our Customers will better understand the building process. Better knowledge of the process results in better homes and much happier Customers. Now we sell over 50 homes every year. BSB: There are probably quite a few builders in your area who are wondering how a modular home dealer did that… so, just how did you sell all those homes? Gianino: There are a couple reasons. I think it has something to do with our personal and professional backgrounds. All of our staff, not just myself, have a lot of people experience. Our Customers quickly learn that we’re very interested in helping them discover and obtain what they need and want. I think this is what sales is about, in addition to building relationships of trust and confidence, and then delivering and continuing to deliver over time. BSB: What kind of questions do you ask to develop the relationship between you and the Customer? Gianino: First of all, we want to learn something about who our Customers are as people. We do that by asking general questions, like where they’re from, where they live now. We ask them, when it seems appropriate, what they do, what kind of housing needs and preferences they have. We ask them what sort of budget they have, what they like in a home, what they don’t like in a home, and how their current home does or does not meet their needs. We also ask them if they’ve ever built a home before. We want to know if they’re considering other ways to get new housing. For example, we want to know if they’re thinking about buying an existing home, and whether they’re also considering stick-building or panelizing. We want to know what makes them interested in modular homes and if they have ever seen a modular home. 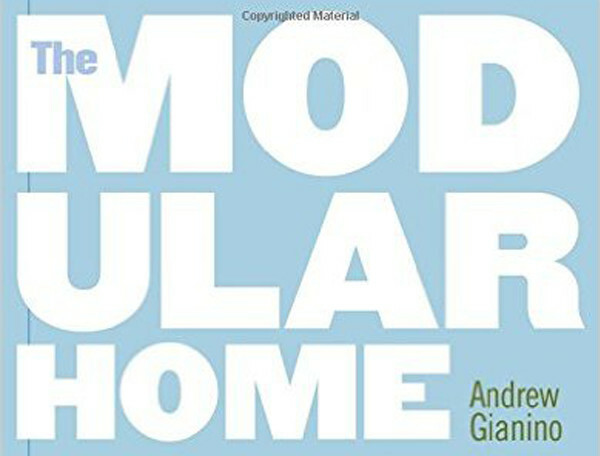 In many cases, our Customers have never seen a modular home. BSB: Besides your models, how do people hear about you? Gianino: Increasingly, it’s referrals. Initially, we generated business only because we had a nice looking model in a nice location. Now that we’ve sold a couple hundred homes over the last few years, we have lots of Customers who refer people to us. Banks refer people to us and so do Realtors and building inspectors. BSB: Does advertising work for you? Gianino: I believe that people are still skeptical about modular homes. What makes them less skeptical are not pretty pictures in the newspapers or on TV, but actually seeing a model. A model is something they can touch, something they don’t feel has been prettied up by fancy artwork. They need to see for themselves that a modular home is every bit as good as the best stick-built house they’ve seen, and in some ways better – and at a good price. You can’t do that through the media very easily, but you can do it with a model. From our point of view, it’s strategically more important to have a very nice model in a very visible location. Once Customers stop in, now we have something to work with. Because once they see it with their own eyes, they’re convinced it’s a good product. BSB: Who actually does the setting and finish work on the homes you sell? Gianino: When we first started our company, we didn’t serve as our own general contractor. We considered ourselves primarily a sales and service company – our skills were in helping our Customers plan and coordinate the building process. We did not have the capacity to execute the on-site construction work required to complete the house. However, our skills allowed us to provide first-rate service before and after the sale. Let me emphasize this point. In my opinion, the business of a modular home dealer is in many ways about servicing the Customer and not just about construction. Because it’s a service industry, it requires more skills than just those of a good carpenter, plumber, and electrician. However, we realized that in order to produce homes that met our standards for quality, and to maintain our high level of customer service, we needed to form our own construction company. Our construction company enables us to provide a full range of services, from site and foundation work to all the finishing details of the home. BSB: As a sales and marketing entity, who staffs your models? Gianino: Right now there are nine of us, including myself. We have another 15 people serving as field staff – warranty service, general contracting supervisors, and carpenters. BSB: What do you look for in a salesperson? Gianino: If you really intend to place a strong emphasis on customer service, I believe you need to hire people with strong personal integrity, an ethical backbone, good interpersonal skills, and lots of energy and enthusiasm. You don’t want a fast-talking, high pressure person. You want someone who knows how to interview to discover a person’s wants and needs and then to build a relationship with them. Needless to say, we run a thorough check on our sales candidates. We’re not only looking for someone who’s good at sales, but someone with organizational skills and self-motivation. They also must have a very flexible schedule so they can accommodate our Customers’ schedules. BSB: What are your plans for the future? Gianino: We will continue to add new model homes to our sales center. Our next model will probably be a Cape design, maybe with a Chalet flair. We already offer more floor plans than any other company in New England, and we will continue to add new ones each year. Most importantly, we will continue to pursue The Home Store’s philosophy: improve the company a little every day, especially in Customer Service. Over time, that can lead to dramatic results.